I am living in Las Vegas now, so when I come home for a visit we like to play tourist. My family and I went to a Halloween story telling in the Bakers Mansion. After we had a lot of good ghost stories we took a tour and went to the basement were they had cookies, punch and hot chocolate. I took a photo around the fireplace in the basement and so a lot of orbs in that area. Very interesting. 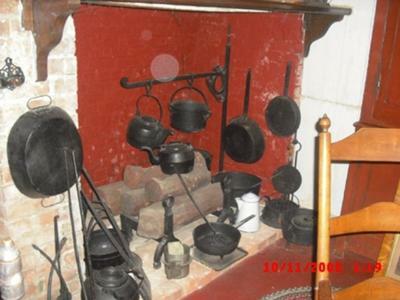 Thank you so much for sharing the photo you took in the Baker Mansion kitchen with us. Oh yeah, without a doubt, I can see the orbs. I'm sure you know of the legends and ghostly tales about Baker Mansion and I have no doubt it's an historic haunted area. I do hope you enjoyed visiting the area and will come back again one day.